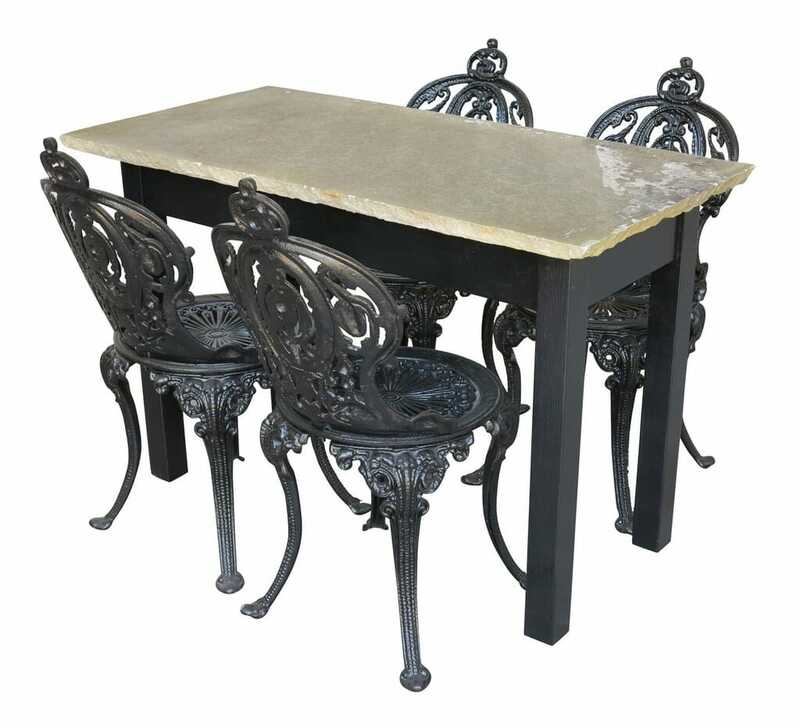 Wooden table with stone top and 4 x cast iron chairs. 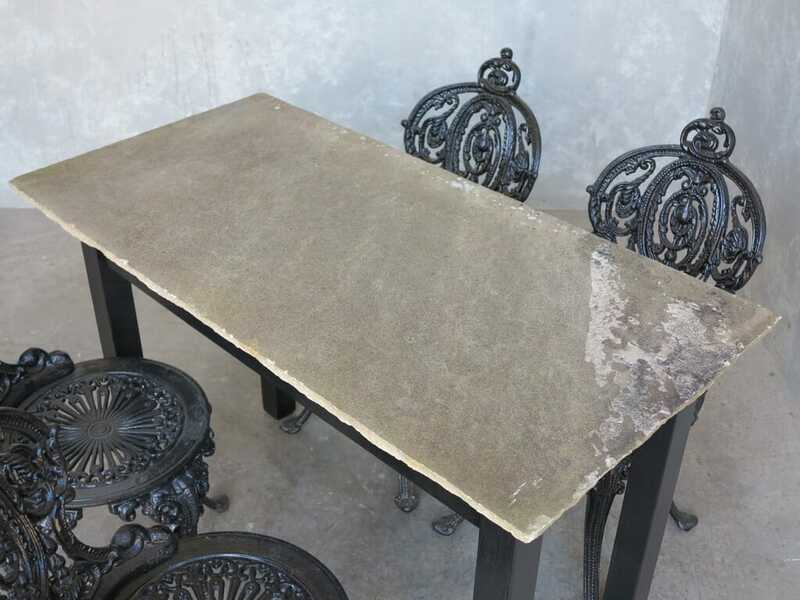 The table measures 47 ¼" Long x 23 ¾" Wide x 31" Tall. These are functional and decorative. 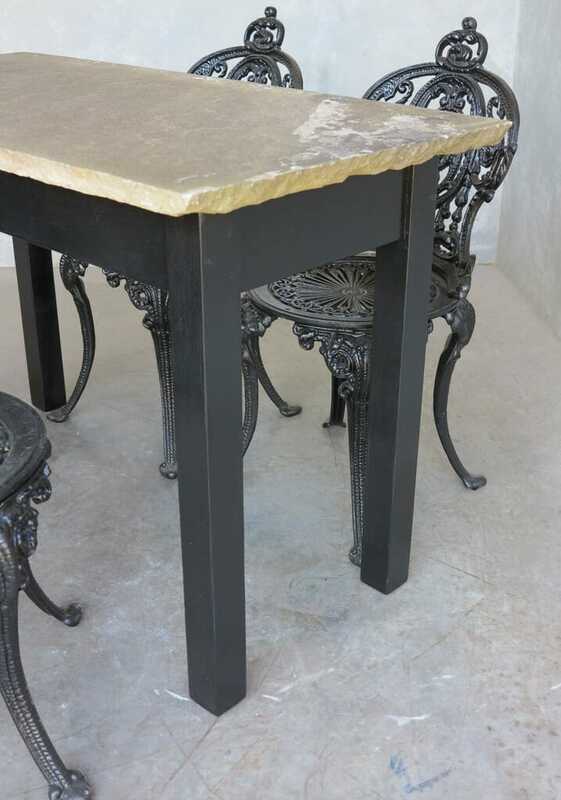 Once in position the top ideally needs fixing to the base with a suitable mastic type product. 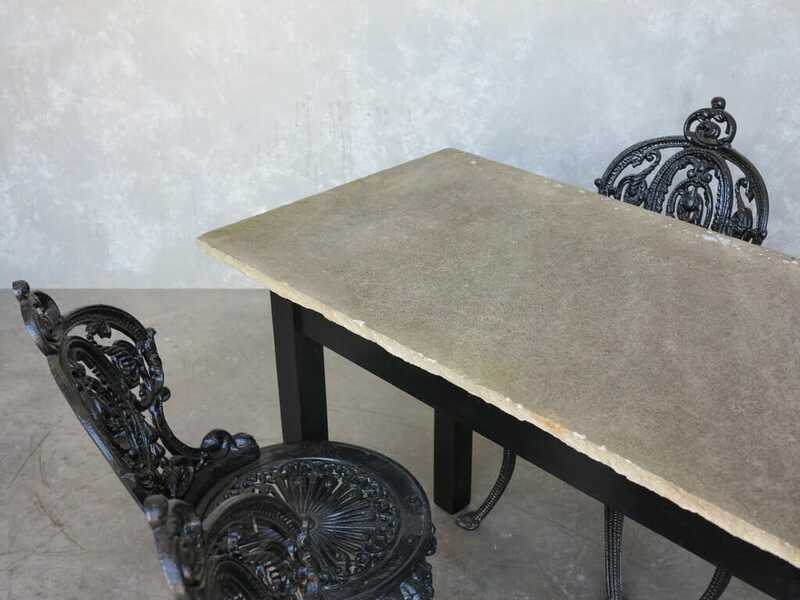 The table top is hand carved solid stone. 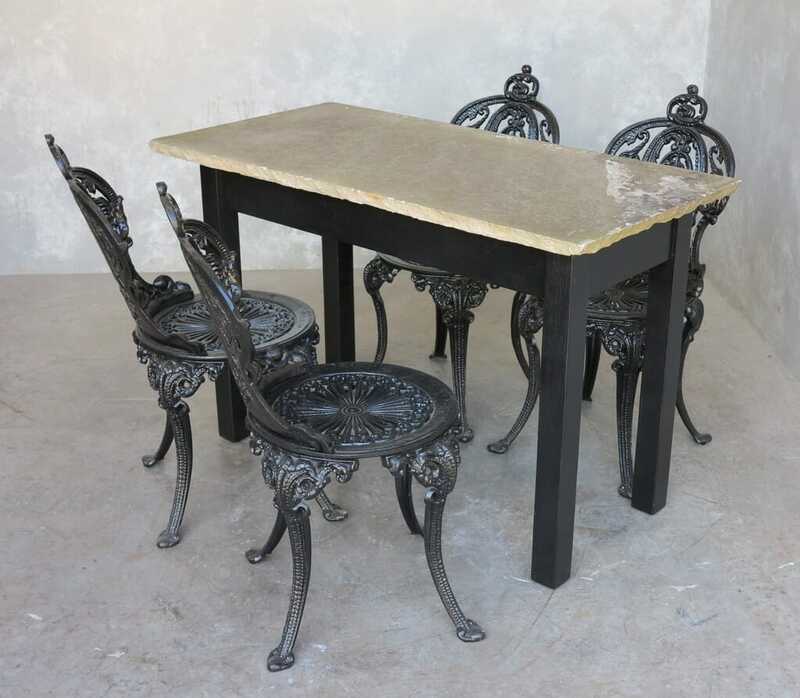 The chairs are substantial and are made of solid cast iron. These will not blow over in the wind! 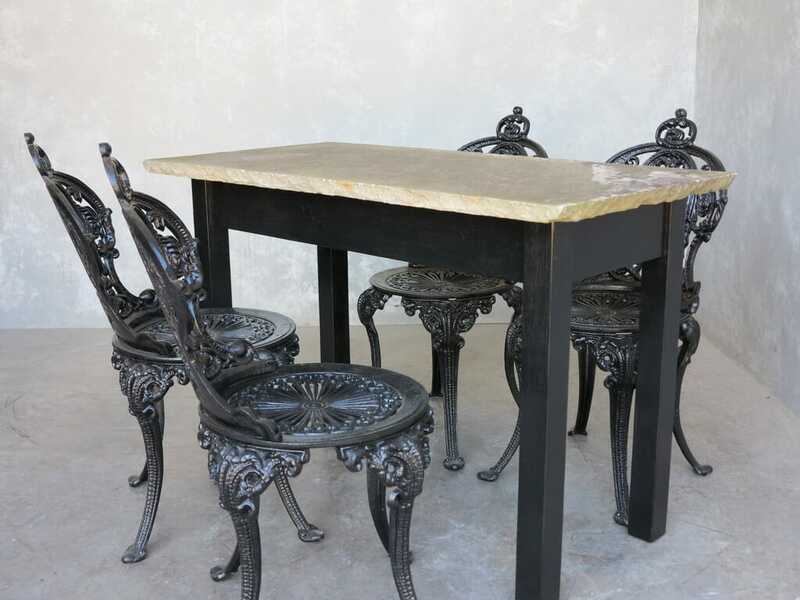 These have been hand painted in exterior black paint. 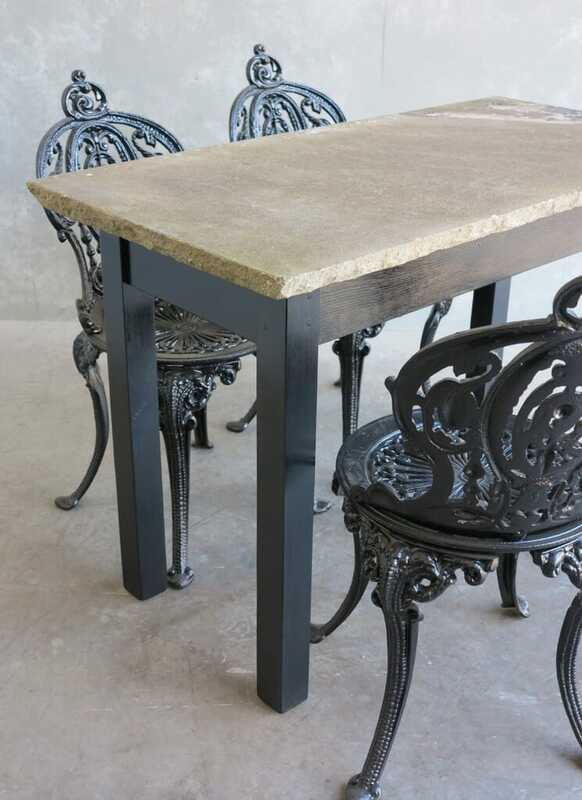 The table comes apart in two pieces for ease of transport and manoeuvring.